The Grilled Sloppy Joe and Cheese Sandwich. 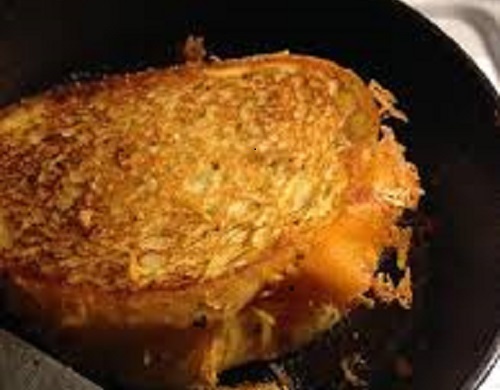 The creamy, crunchy taste of a perfectly toasted grilled cheese sandwich. The sweet and tangy flavor of a Jumbo’s Sloppy Joe. These two tasty treats joined together? Quite simply, pure culinary perfection!